In the shallow waters of Hardy's Channel, near Lennox Island, P.E.I., a swamped lobster fishing boat is still sitting half-submerged, after getting stuck in a sandbar on Monday. 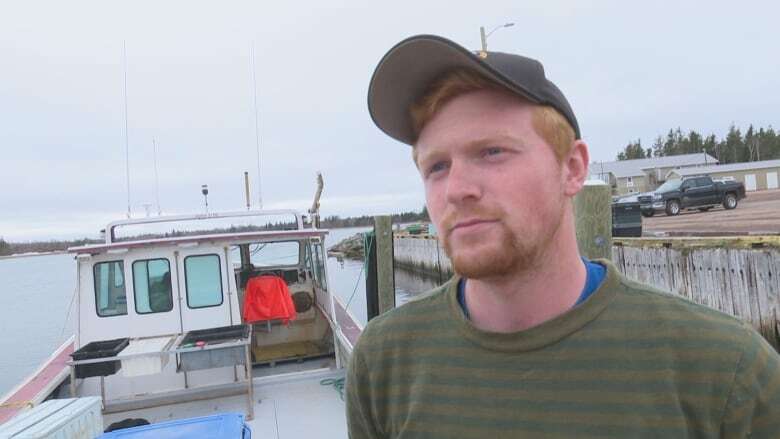 In the shallow waters of Hardy's Channel, near Lennox Island, P.E.I., a swamped lobster fishing boat is still sitting half- submerged, after getting stuck in a sandbar on Monday. The crew was rescued late Monday morning after the boat started taking on water. Skipper Nick Lewis says he is grateful for the nearby fishermen who came to their rescue, and saved their lives. 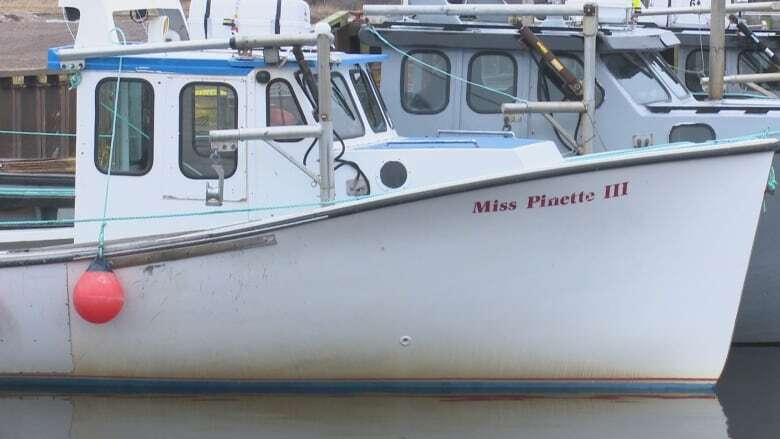 Lobster fishermen rescued after boat hung up on sandbar in western P.E.I. Three boats came to the aid of the five fishermen, who were all in the water, without survival suits on. "It's not a good first day, that's for sure. It's not the way you want to start off your season, is having something like that happen," said Kristen Clements, one of the people involved in the rescue. Lewis had been on board the boat with his wife Elizabeth and three other crew members. He described how he and his wife clung together as they held onto a rope and were pulled through the water to safety. Clements said he was on one of the three boats that helped with the rescue, and his boat took on one of the crew members. He said the man was so cold, he wasn't able to hold onto the rope. "We threw him the life ring, and it took three tries to get it to him. And it was so cold he couldn't swim. And he even tried giving up, like he almost let go of his life jacket. It wasn't a great sight." Clements said his father yelled out to the man, telling him not to give up — and eventually they were able to get him on board. Once on board, Clements gave the man his boots and jacket, to try to warm him up. After the rescue, four of the five crew members were taken to Prince County Hospital. According to Nick Lewis, everyone is okay. Here's what spring setting day looked like on P.E.I. As the crew all recover from the harrowing incident, Lewis said he is grateful for the outpouring of support. He said emails and texts have been pouring in with offers of gear to help replace what was lost. Lewis said he hopes to be fishing again in the next few days, and he is trying to figure out if his boat can be salvaged. In the meantime, Lennox Island First Nation's fishing fleet has loaned Lewis a boat so that Lewis can get back to sea. In an email statement, the Department of Fisheries and Oceans said a survey has been ordered to see if dredging is required in Hardy's Channel. A survey scheduled for Tuesday was postponed because of bad weather. According to DFO, in the last decade Hardy's Channel hasn't needed dredging "to allow for safe passage of fishing vessels."